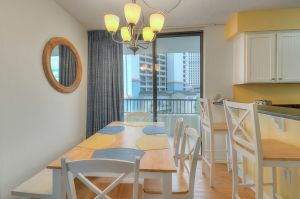 Nautical decor and a sunny breakfast nook with balcony access make the Sea Winds 309 beach vacation rental condo a North Myrtle Beach, SC unit that stands out from the rest. 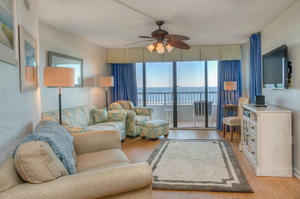 This North Myrtle Beach, SC beach vacation rental condo is on the oceanfront. 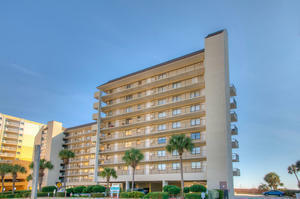 Boasting of three bedrooms and two baths, this spacious, oceanfront North Myrtle Beach, SC beach vacation rental condo is suited for eight people. 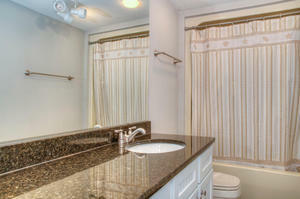 The master suite at this North Myrtle Beach, SC beach vacation rental condo has oceanfront balcony access. You might want to sleep with the balcony doors left slightly ajar so you can hear the crashing waves all night long. Or leave the shades open so the early morning sunlight glistens in your eye and gets you out of bed for a full day of North Myrtle Beach, SC vacation fun. 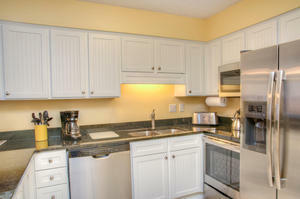 This oceanfront beach vacation rental condo has a nicely furnished kitchen, where you will find more than a dishwasher and full-size fridge. 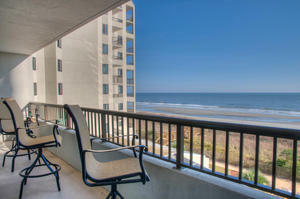 From the oceanfront balcony of this Windy Hill section, North Myrtle Beach, SC beach vacation rental condo, your family can see right into the indoor swimming pool. A glass ceiling and glass walls make this feature of the Sea Winds resort quite spectacular. 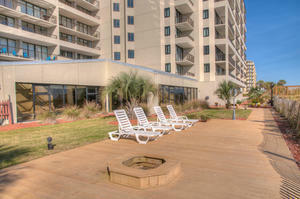 You can watch kids playing in the pool without ever leaving your beach vacation rental condo. 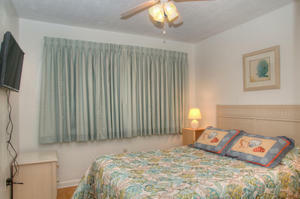 The Sea Winds 309 is a corner unit. 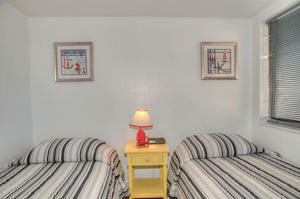 A plasma television and a couple of DVD players are expected features of this condo rental in North Myrtle Beach, South Carolina. 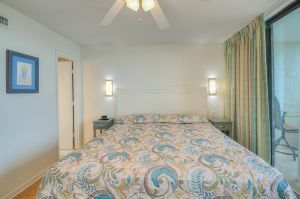 The Sea Winds resort puts guests just steps away from the white sandy beaches. Follow the wooden sun deck and the path out to the oceanfront from the resort for an incredible time on the beach. Beach chairs and shoes are optional when all you need is a beach towel and bare feet to fully enjoy the beachfront scene. After spending hours collecting seashells, swimming in the surf and building sandcastles, your family might want to explore the surrounding attractions and restaurants. 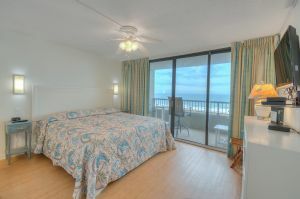 Golf courses, live entertainment theatres and water parks are close by the Sea Winds 309 beach vacation rental condo and resort. You can always find miniature golf courses and ice cream shops in North Myrtle Beach, SC, too!